Foxit Software's PhantomPDF (in both Standard and Business editions) make a good choice for basic office needs, but it suffers from an identity crisis once you get to the high-end features. 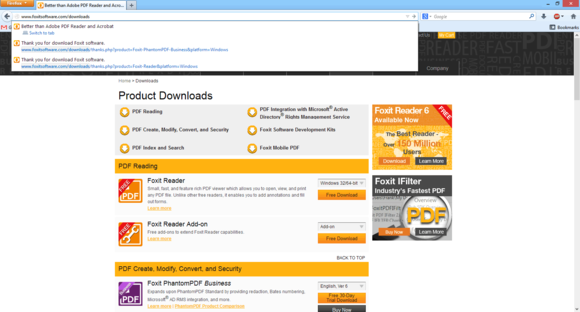 Foxit's download page makes the bold claim that it is "Better than Adobe Reader and Acrobat," but a more accurate statement would be that it might be better, in very specific circumstances that may or may not apply to you. Many years (and jobs) ago, I was a Tier 2 technician supporting Adobe Acrobat. I am an Adobe Certified Expert in Acrobat 6.0 Professional. What I want you to take away from this is that I am a veteran in dealing with both Acrobat and PDF files, and that I understand that the #1 question people want answered is, "Will this $130 software do what I would normally have to spend $299 or $449 to do with Acrobat?" The answer depends entirely on what you would use Acrobat for. I've formed my opinion comparing Foxit PhantomPDF against Adobe Acrobat Pro 9.5. The claim is hiding in the title bar, but it's there. 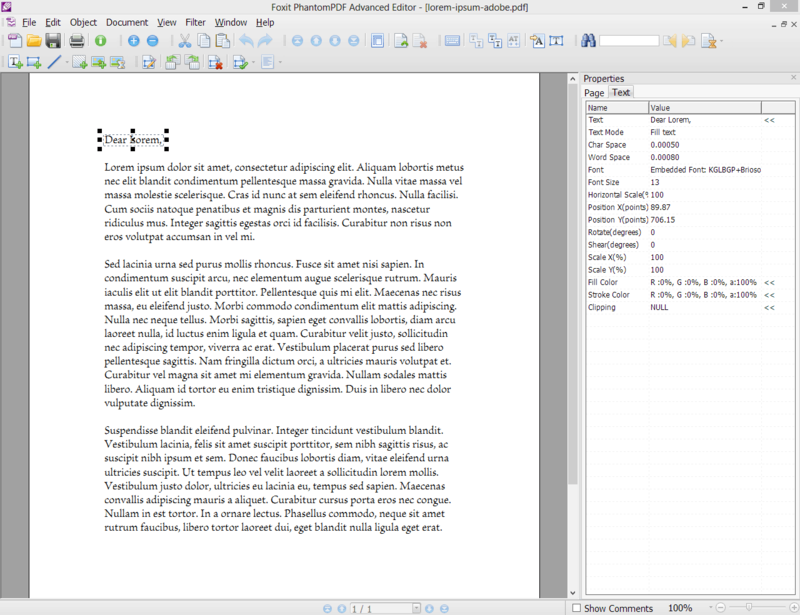 At a glance, Foxit PhantomPDF more or less has feature parity with older versions of Acrobat: They both have basic annotation tools, interactivity elements such as links and buttons and forms, and basic editing features like adding/removing pages. There are minor differences in how some of the features work, but the differences really aren't that interesting, nor are they so one-sided as to make one a vastly superior experience over the other. Where things get dicey is when you get to the advanced feature set. Foxit seems to have added a number of features that are only available in the Pro edition of Adobe Acrobat as a marketing tactic, rather than as a holistic design decision, which ironically makes it harder to recommend based on those features. The advanced editor looks fancy, but isn't all that functional. The most prominent example of this has to do with working with standards-compliant PDF documents. 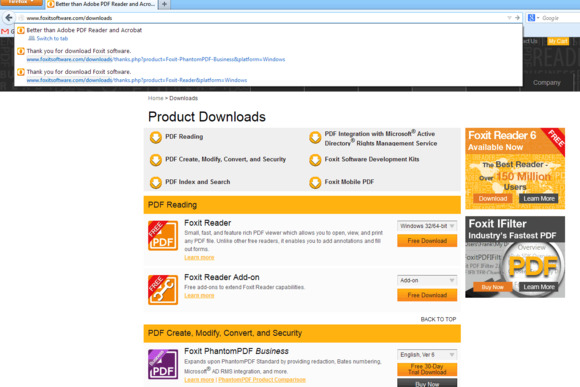 PhantomPDF can recognize and validate PDF/A (archival), PDF/X (press), and PDF/E (engineering) documents. But it can't createthem. There is an automatic conversion option, but if you don't like the result there is no way to fix it. The best the PhantomPDF printer driver can offer is PDF/A1-b support, but forget about CMYK or image resolution controls. The PDF/E conversion option is especially puzzling, considering that PhantomPDF doesn't support embedding the 3d models or dynamic content that the PDF/E format was created for in the first place. Another example is the "Advanced Editing" mode. At first glance, this seems like something that might be useful if you need to fix a PDF right now, you don't have the original document, and it was due at the printer yesterday. However, the advanced editor is very difficult to use with precision, it cannot create CMYK objects, nor can it convert RGB objects to CMYK. This makes its current incarnation more of a novelty than a useful tool. Watch the second line of text in the paragraph, and the kerning on the letters. The PhantomPDF printer driver has other quirks on its own. 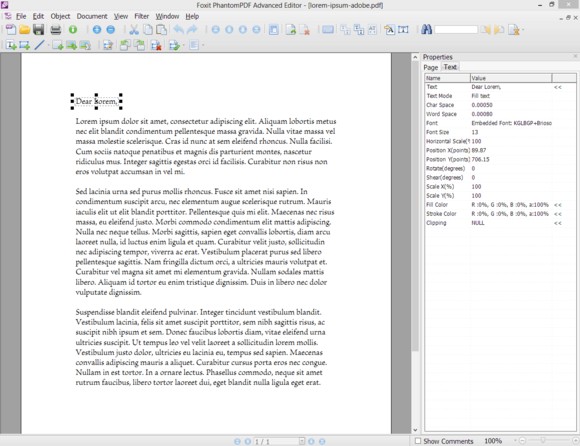 Documents that use common typefaces such as Times New Roman tend to look worse because Adobe's software substitutes their high-end version of Times for the comparatively low-end version that is pre-installed in Windows. Line spacing can vary significantly, which could prove frustrating when precise layout is important, such as a template or newsletter. Character spacing was very subtly different, but didn't affect anything significant like line breaks in my tests. To put it another way: The areas that PhantomPDF overlaps with Acrobat are about even. PhantomPDF doesn't do anything that Acrobat doesn't cover. If you're trying to get high-end Adobe Acrobat features at a low-end price, it's a good idea to download the 30-day free trial of Foxit PhantomPDF and perform a formal analysis to make sure the software does everything you need for your business. PhantomPDF offers a lot of features at a great price, but you'll need that 30-day free trial to make sure it does exactly what you need.